This is a most simple Recipe for preparing at home Mithai Shop Style Bhapa Doi. 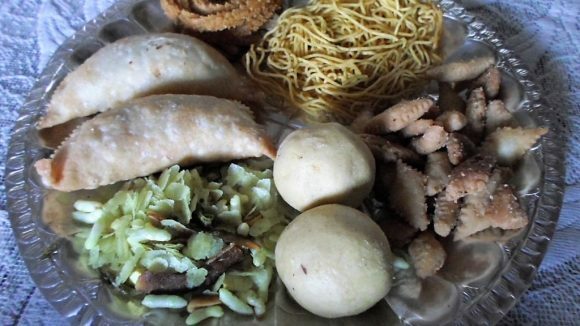 This is one of the more popular and traditional Bengali sweets made from milk and curds for festive occaasions. Take Curd, Condensed Milk and Cold Milk blend it and put it in a pressure cooker and add water in the Cooker then add the Almonds, Pista and Raisin and cover with a lid and cook for 3-4 minutes on a full sim and then 30 minutes on a slow sim. When cooker cools remove the lid. Serve cold.